One of the most ambitious projects in the world of triathlon, this leading team aims high. A relationship founded on ambition and hard work, the BMC-Vifit Pro Triathlon Team powered by Uplace is not your standard multi-sport project. This is an elite collaboration with the shared aim to become the world’s leading long-distance professional triathlon team–a pursuit of performance that challenges us to push the limits of our own premium triathlon and time trial technology. As a title sponsor since 2014, our support ensures that the team riders are appropriately equipped to achieve these world-leading aspirations. 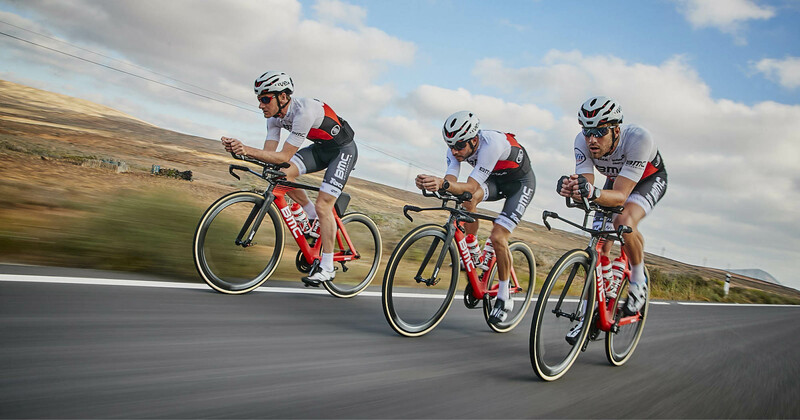 Targeting the biggest races, when nothing but the best will do, the BMC-Vifit Pro Triathlon Team powered by Uplace are likely to be spotted cutting through the air on the Timemachine 01 and Timemachine Road. Their choice of models elevate efficiency and precision, leaving nothing to chance, and position the bike and rider truly in their element when the distances read 140.6 and 70.3.